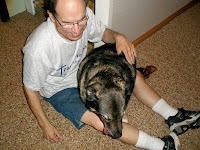 Seven years ago we met a shepherd, Norwegian Elkhound mix dog named Gabby. 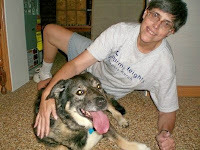 This is the dog I discovered through Pet Finder and emailed Barb after Gerard said he thought he'd like this one. She was 5 years old. 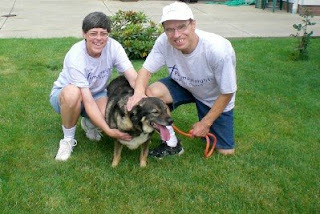 Here is the link where we found her: www.petfinder.com. It turns out Gabby only had that name about a week so we can rename her. We just dropped the "G" and named her Abby. 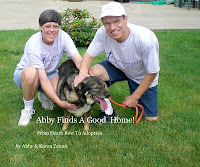 Abby has had lots of experiences since she's been with us. 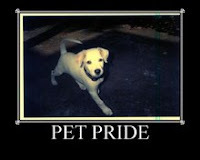 We took for for training at PetSmart shortly after we got her (as soon as I could convince Gerard it was a good idea). She easily passed and became a Canine Good Citizen. During her training, she was attacked by two Rottweilers while on her evening walk and was in critical condition. With lots of prayer, God's mercy, our love and Abby's determination, she pulled through, making a full recovery and brought cheer to lots of people during her four years of nursing home visiting. Abby is a great dog and we are so happy to have her! Even the cats have accepted her well and she never bothers them except if she barks loud, then they run. I had a great start to my vacation today. The weather is sunny and 80 degrees, pretty blue sky with a nice breeze. After breakfast at Golden Coral (paid for with a gift card), we visited the Cleveland Zoo determined to get some pictures of the tigers in their new exhibit. The exhibit is 1 acre which is about 10 times bigger than what they had before and with so much more! They are slowly being introduced to it but at least we got to see both the male and female tigers in it. The female was walking around quite a bit when she was let out of the inside enclosure. She settled down in a shady spot under a big log. They also have what they call climbing posts that look like telephone poles without the wires. The volunteer told us that the tigers will eventually climb these poles to get some meat that will be placed on top for them as they get more comfortable in the exhibit. There is also a long ramp they can walk up that crosses over where the people stand to watch through the glass. There are a couple pools of water, one on each side and lots of grass with some logs to crawl on and small bushes. It is so much nicer than what they had before and I'm sure the tigers will be happy to be able to stay outside at night as well. We look forward to checking on them often to see them discover all the new things they can do. I would love to see them climb those poles! Down the road, the zoo is planning to get some tiger cubs, but not from these two who are in their teens. That will be something to see, but for now, we'll enjoy watching these two big cats! 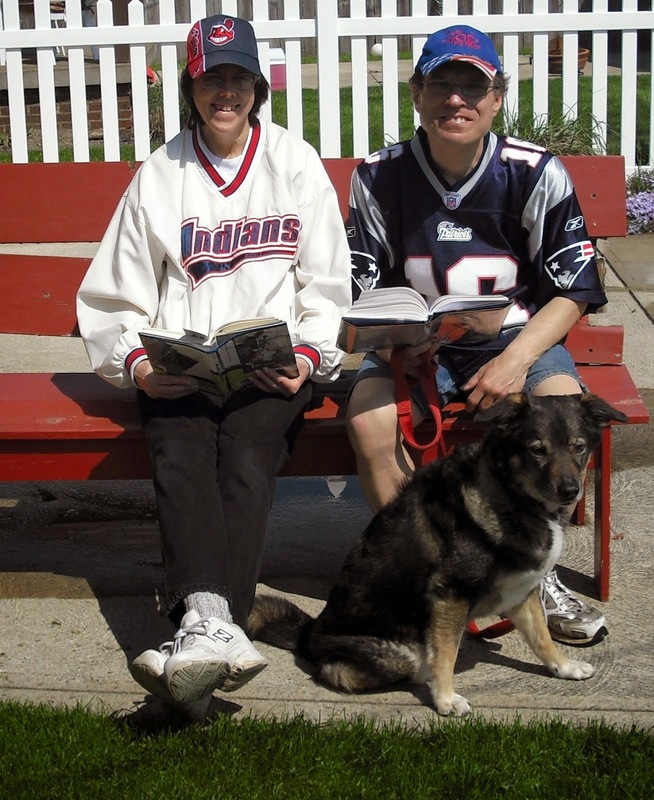 After the zoo, we rested for a bit and then played some tennis and now I'm ready to do some reading on the porch while Gerard and Abby go for their walk. Loving being off work today!